Barton upon Humber was a very busy port in the 1800's, in fact it was the largest port on the River Humber. This made it an obvious choice for the coastguard station which was to be the main R.N. 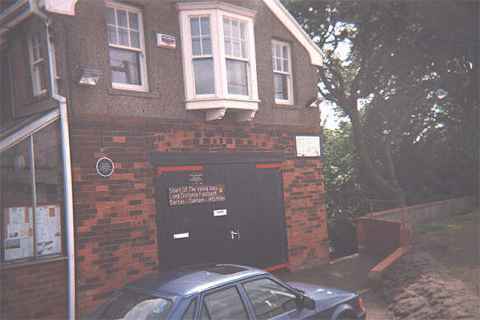 Coastguard station for the River Humber. It controlled not only all the coastguards in the villages from South Ferriby to the North Sea on the south bank of the river but also those on the north bank. The station was manned by 6 men and an officer in 1851 though this rose to 8 men later. In 1851 the coastguards all lived in Barton but not necessarily near the river as Barton had spread quite a way in land. In 1862 eight houses were built down at the "point" near to the river which were called Humber Terrace. These houses still stand today though they are now privately owned. 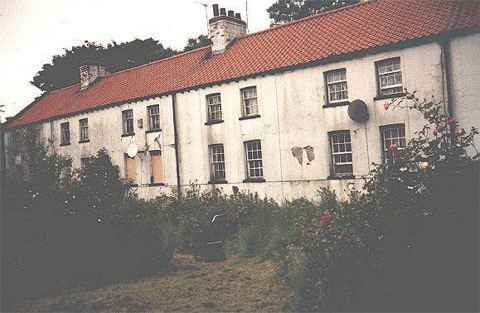 The large house near to Humber Terrace called Beech House which was once owned by North Midlands Railway ( ferry service ) was later taken over by the coastguard service and used as accommodation by the officer in charge of the station. The station did of course have boats. They had two boats, the largest being a whaler type which needed several men to operate, and the smaller a skiff or rowing boat. These were housed in a disused stable at the rear of the Old Waterside Inn. This caused the men problems since when the boats were required they had to haul them over Waterside Road and then into the Haven ( the tall embankment had not been constructed at this time ) before they could ever set sail. In 1821 the Steam Packet company who ran the ferry across the Humber to North Ferriby and Hull built a jetty and a slip way down at the end of Waterside Road. When this ferry stopped running in the 1880's the land became available and was purchased by the coastguard service to build a boathouse. This also allowed them to use the slipway alongside the jetty to launch their boats no mater what was the state of the tide. The boathouse was finished in 1880 and was opened by the Duke of Edinburgh, which once again shows the importance of Barton at that time. The building doubled as a boathouse and a lookout point from the room above which was reached by stone steps outside the building. These have now been enclosed in a glass area which can be seen in the photo. Outside the boathouse to the west was erected a mast on which they raised flags to communicate with the coastguard station at Hessle. By the number of men involved it can be seen that the duties of the coastguards were quite varied. They were all naval personnel usually reservists and so could be called on at any time to join in naval activities especially in times of war which will be seen later. The day to day duties included marking, with buoys the channels in the Humber, conservation and collecting the harbour duties from the vessels. The more dramatic activities were the rescue of people from wrecks in the river which was not too uncommon and the capturing of smugglers which was even more common. Several of the coastguards from Barton were called to do their duty in the Great War. Three of the men from Barton were killed in action in the Battle Of Jutland. These men were Thomas Henry Bates, Fredrick William Spearey and John William Cause who served on HMS Aboukir, Hague and Cressy respectively. After the war the station was put under the command of Lt. Pack who was not too impressed with the station or the equipment. He found the larger of the boats un seaworthy and the station in poor repair. He closed the station at Hessle and operated the service from Barton and East Halton. As Hull became a larger port it was inevitable that the station at Barton would soon become redundant and in 1924 it finally closed.